Ready, steady… climb! Healthy, Challenging Fun for Everyone. Introducing Dunedin’s latest adventure activity! Clip ‘n Climb is now based at LEAP Dunedin and is the most exciting new concept in indoor climbing in the last 10 years. It was developed in Christchurch, New Zealand and is 100% pure Kiwi. 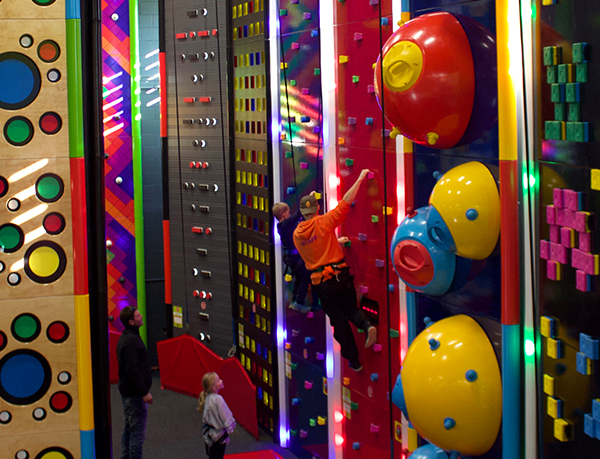 Clip ‘n Climb is action packed with individually themed climbing walls that provide healthy, challenging fun for everyone. 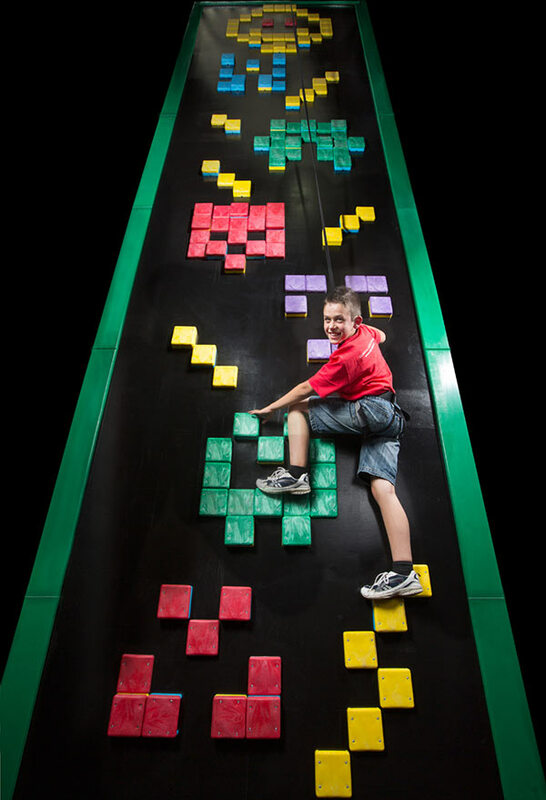 Perfect for all ages, Clip ‘n Climb is suitable for adults and juniors aged 3 years and upwards, with no climbing experience necessary. 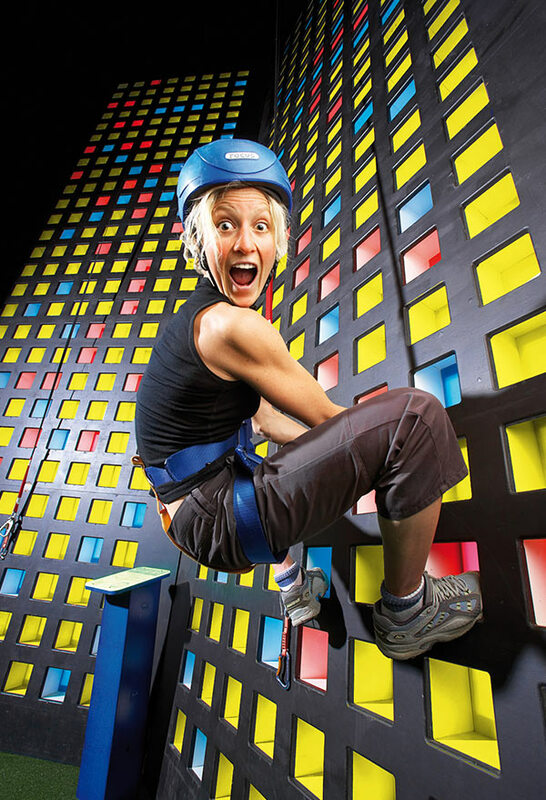 Here at Clip ’n Climb Dunedin there are heaps of different climbing challenges to choose from with varying design and difficulty – reach new heights on the Skyscraper, take the Speed Climb challenge with your friends or brave the Dark Tower with UV lit holds. 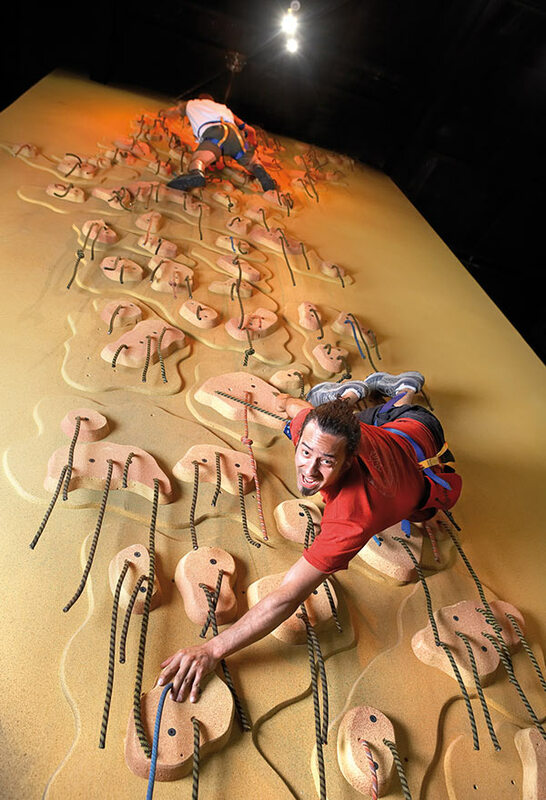 Your admission price includes rental of a climbing harness with instruction and fitting, and a full safety briefing on use of the equipment with our friendly staff. Then it’s a full hour of climbing fun! Birthday parties, corporate and school groups catered for. Give us call to find out more 03 455 0095. Book your session now or make an enquiry for group bookings. To find out more view our hours and pricing.